3 Important Benefits Read the Book for the Growth of the Little Flower - Reading is the window of the world, meaning people who like to read must have a wider insight than those who do not. Well, people who love to read books usually been taught by his parents since childhood so become familiar, even a hobby. Why introduce the world of reading to children early on? 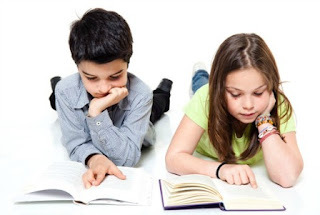 Let's know the benefits of reading books for the following children. Reading is a positive activity for anyone, including children. That is why many parents are beginning to introduce the habit of reading books to children since childhood. Actually, what are the benefits of reading books for children? Reporting from the Children Healthcare of Atlanta , according to the American Academy of Pediatrics in its research in 2014, there are many benefits to read books for children. Reading gives a positive influence on the developing child's brain. In fact, the effect can also be obtained since the baby when they still can not read, but read the story by his parents. Books consisting of a series of words, numbers, drawings and other elements, are able to develop a child's thinking skills. It affects how they speak, solve problems, write, and even gain experience. In addition, studies conducted by Emory University in Atlanta show that fiction books stimulate children to recognize their own emotions as well as those around them. 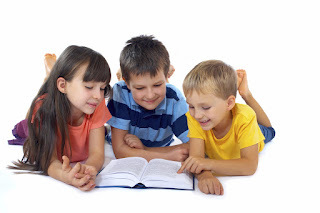 In fact, children who love fiction books tend to have high imaginations and creative ideas. While children who often read nonfiction books, can build a strong self-image, confidence, and insight. Busy parents often miss special moments with children. This condition can even make children feel less attention. Reading can be a fun time to improve bonding between parents and children, according to a number of studies. Instead of just building bonds, reading is also a way of parenting to teach children the various knowledge, information, and aspects of life that are in the books they read. hildren who are used to reading books are usually more focused with the desire or aspiration in the future. They are also encouraged to find out more about the things they like. When they are teenagers, they can focus on cultivating, finding out, and even practicing what they can do according to their ideals from the book. In addition, reading also gives them an understanding of the responsibilities and risks of an action or behavior. Already know, what are the benefits of reading books for children? For that, it's a shame if you just missed it. You can introduce reading habits in children even before the baby can read and talk. For babies, you can introduce interesting and interactive books, such as more color, more illustrations than text, and themes that kids love, such as animals. Position the child in your lap with the book in front of him, so the child feels close to you, can hear your voice more clearly, and watch the book better. You need to show the picture and emphasize the words and even repeat them several times, this helps the baby to strengthen the newly acquired vocabulary. If a child shows interest in a particular book, let him read it over and over again. For ages 2 to 5, you can take your child to a bookstore and let him choose a preferred reading book.